The First Family is traditionally on hand for the lighting of the National Christmas Tree. It's that time of year again, and no, we don't mean Halloween. The online lottery for the National Christmas Tree Lighting opened at 10 a.m. Thursday and runs through 10 a.m. Monday. Those who want to attend can enter for the chance to win free tickets by going to www.thenationaltree.org and clicking the "ticket lottery" link, or by calling 877-444-6777 (TDD 877-833-6777). Tickets for 3,000 seats and 14,000 standing-room spots are available through the lottery. 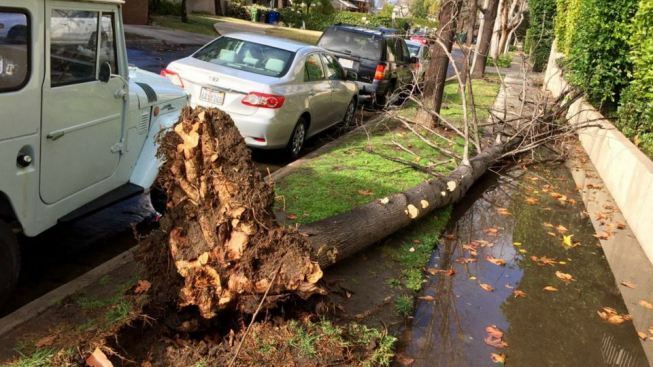 Winners will be notified by email by Nov. 7, and can also check the status of their requests starting Nov. 7 by signing in to www.recreation.gov. The lighting ceremony will be held Friday, Dec. 6 at 5 p.m.
Last year's entertainment included performances by The Fray, James Taylor, Ledisi, Jason Mraz, Kenny "Babyface" Edmonds and Phillip Phillips. President Barack Obama said in his remarks at last year's ceremony that the tree -- which has been replaced twice after the long-standing National Christmas Tree was felled by high winds in February 2011 -- was a symbol of rebuilding and strength as much of the East Coast continued to recover from Superstorm Sandy. 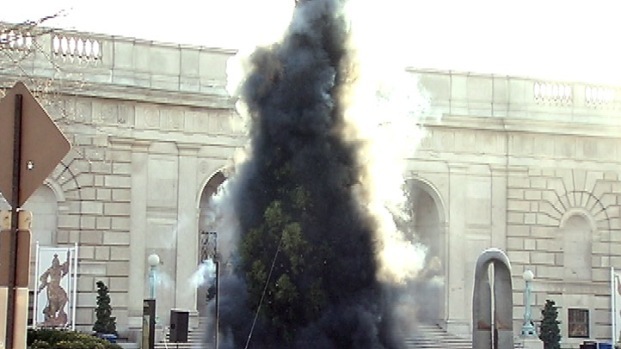 Chinese artist Cai Guo Quiang staged a pyrotechnic Christmas tree lighting outside the Smithsonian Freer Gallery of Art Friday. The smoke that cascaded around the 40-foot-tall tree afterward is meant to mimic the strokes of a traditional Chinese brush drawing. 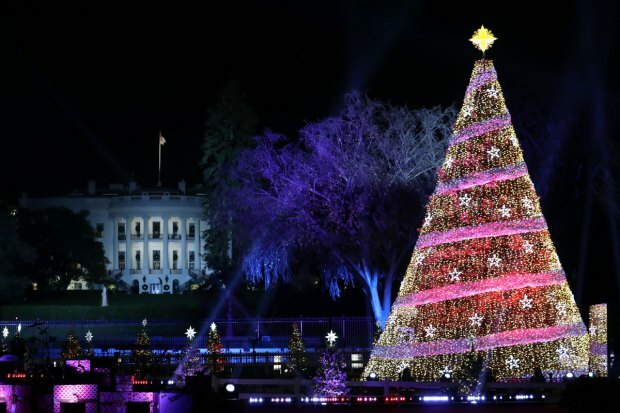 Changes to the annual celebration last year included a new stage location to better showcase the White House behind it, a new color scheme for the tree, and, of course, the tree itself.